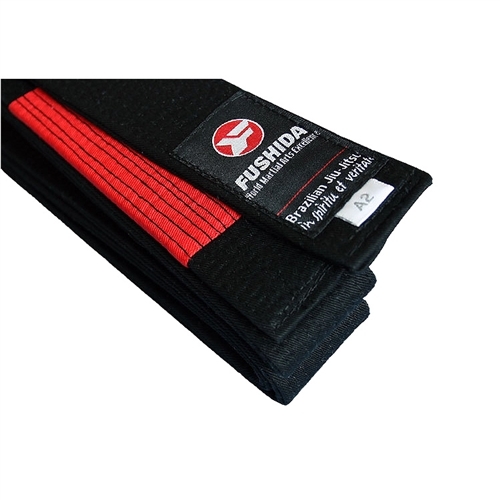 Fushida Brazilian Jiu-Jitsu Belts (BJJ Belts) are designed to capture all the elements of durability and uniqueness in mind. Traditional double wrap thicker Jiu-Jitsu Belts made of 100% inner and outer cotton with 10 rows of stitching down the entire length ensures long term durable use. Wider at 1 ¾” widths with rank sleeve on one end with contrast color stitching adding to it’s unique look. Approx. Length (in) 96" 100" 105" 113" 121" 129"